Money being so tight I decided to make my daughter a birdbath for Mother's Day. 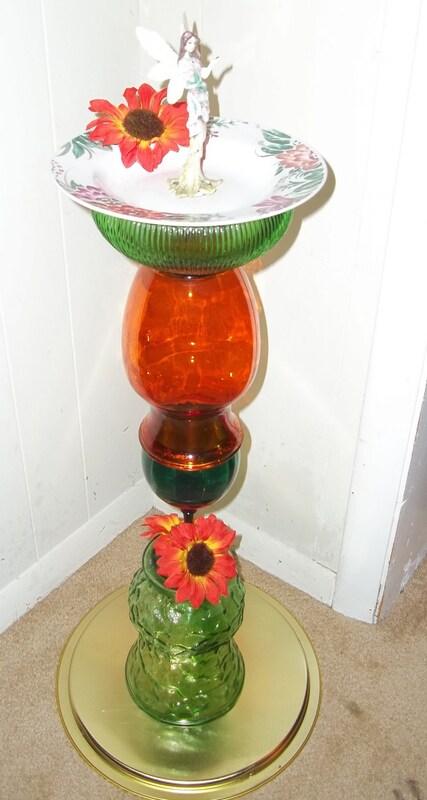 Birdbaths can be expensive this one only cost me $5.00 to make and I'm pretty sure she will love it! 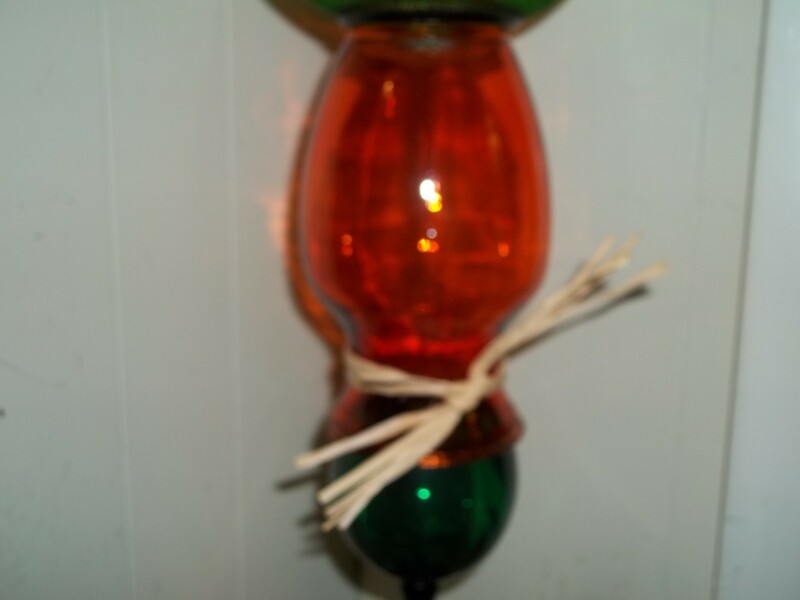 This project is easy to make! 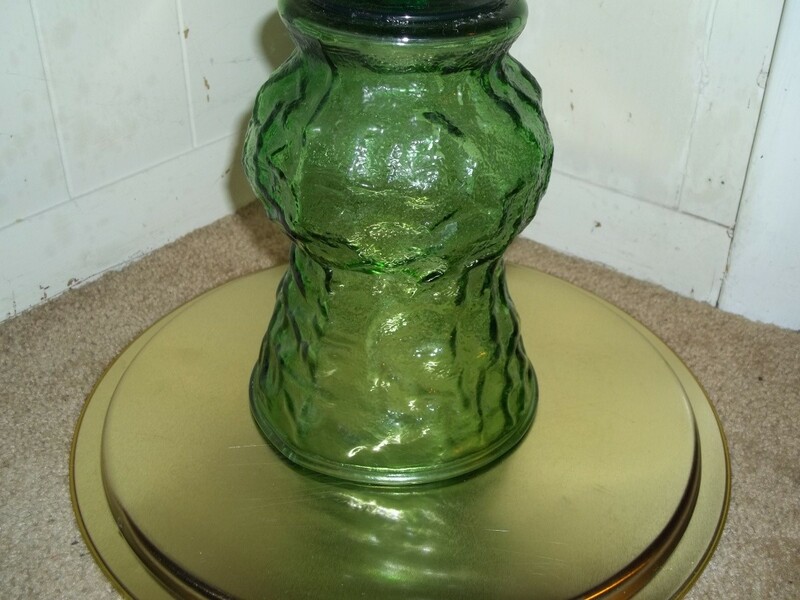 Start at the bottom with the tin tray and large green flower vase. Put Liquid Nails all around the brim of the vase, center the vase onto the tray. 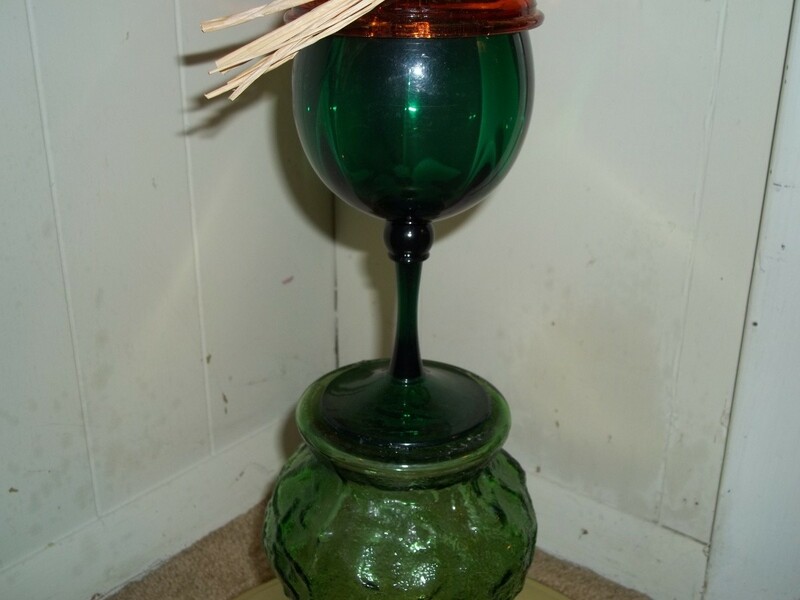 Wait 15 minutes, then put Liquid Nails onto the bottom of the goblet center it onto the large green vase. Wait to dry. Then, take the your other large vase and turn it up side down, put Liquid Nails around the brim of the vase, center it onto the goblet rim. Wait to dry. 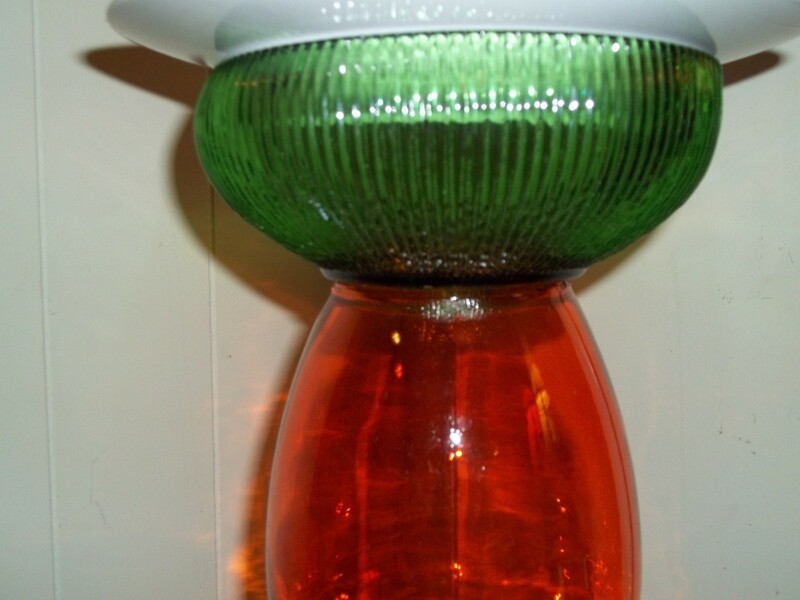 Take a bowl put Liquid Nails onto the bottom of the bowl, center it onto the bottom of the vase. Wait to dry. Then take the top bowl (flowered one) add Liquid Nails to the rim of the other bowl, set the (flowered) bowl on the rim and center it on the bowl. Wait to dry. 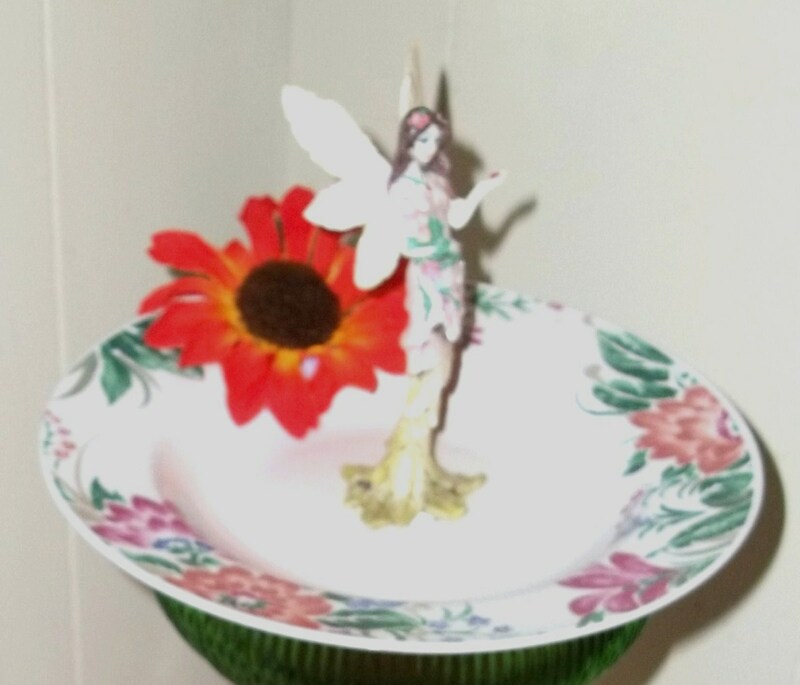 Take the fairy statue, put Liquid Nails on the bottom of her and center her into the top bowl. Wait to dry. 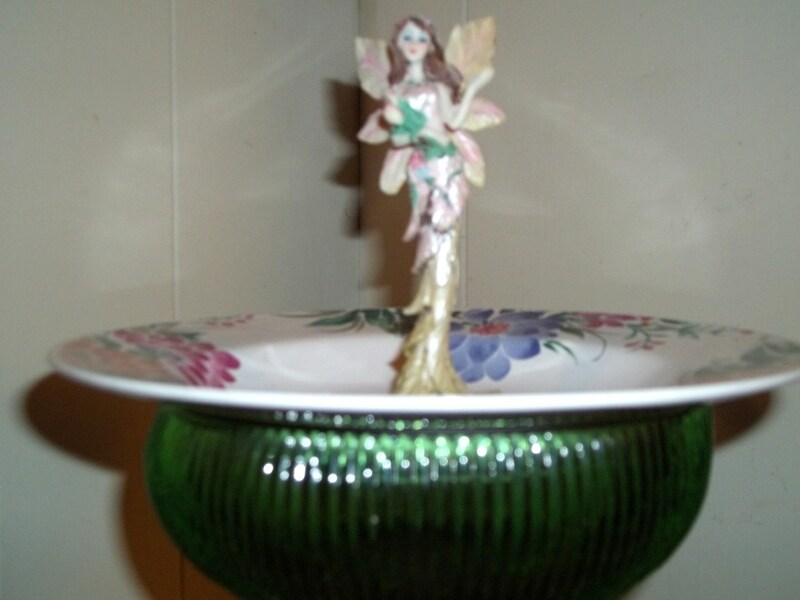 Use Liquid Nails to add the silk flower buds, (even the one on the top bowl). Marvelous idea! I agree with Bev A, all her modifications to make it suitable for outdoor use look very good. I haven't gotten a bird bath because one heavy enough to stand up to Kansas winds is too heavy to dump and clean, and too breakable if the wind does blow it over anyway. This would be light enough not to shatter just because it tipped over - and if it did, well, back to the thrift store and make another one! This a fantastic idea and fabulous way to recycle and look after nature all in one- THANK YOU! !